Fulani herdsmen have finally agreed to obey the Benue Anti-Open Grazing Law, after several attacks that have led to the death of many people in the state. Leader of the NEC subcommittee on farmers and herdsmen skirmishes and Governor of Ebonyi State, David Umahi, who disclosed this said the herdsmen, however, gave a condition before obeying the law. Addressing journalists in Makurdi, the Benue State capital, yesterday, Umahi said the herdsmen asked for time to allow them key into the implementation of the law and that the Federal Government should see animal husbandry as part of its Agricultural programme. 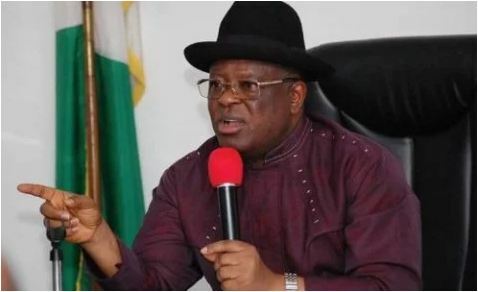 Umahi said all parties involved in the crisis were committed to ceasefire, even as he noted that the problem of invasion was by undocumented herdsmen from other parts of West Africa. The governor said the committee had also restated its commitment to pursue peace, ensure disarmament of any militia groups as well as the arrest of any group harbouring militia and support security agencies to ensure the arrest of anyone in possession of arms. Umahi added: “We observed that all the parties are willing to make peace and we are looking at the conditions and suggestions of the various groups handed over to us as the way forward to having peace. “From discussions, it was agreed by the parties that Benue State has the right to make laws and that individuals or group of people that are in the state have a duty to obey the law. “They also have a duty to meet with the authorities of the law to dialogue on any section of the law that they believe will not favour them. “We have agreed, from all parties to this unfortunate matter, that we will pursue peace, disarm any group that is harbouring militia and support the security chiefs to arrest anyone found with illegal weapons. “The security people have also vowed that inline with the directive they have, anybody with illegal weapon must be arrested, no matter who the person is.